Zimbabwe’s capital city of Harare is not as touristy as Victoria Falls, but it still has many fun activities, cultural sights and beautiful natural spots. If you’ve only seen Harare’s business district in the city centre, you’ve missed out – there’s so much more to see than traffic-filled, messy streets. 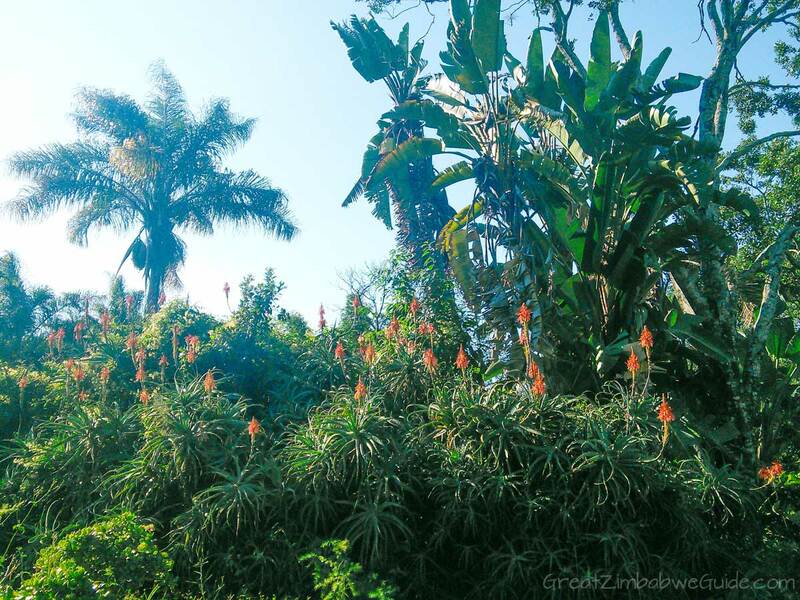 Unlike in many other capital cities, the best places to visit in Harare are on the outskirts of town, which means that you can’t easily walk around them. A car is the best way to get around, and now that fuel is widely available, this is much easier than it was a decade ago. You can find a list of shuttle services and taxis in the Harare travel guide article. It’s easy to visit the sights on your own because they’re usually signposted and self-explanatory. If you’re staying at a lodge or hotel, they will be happy to advise on transport services. 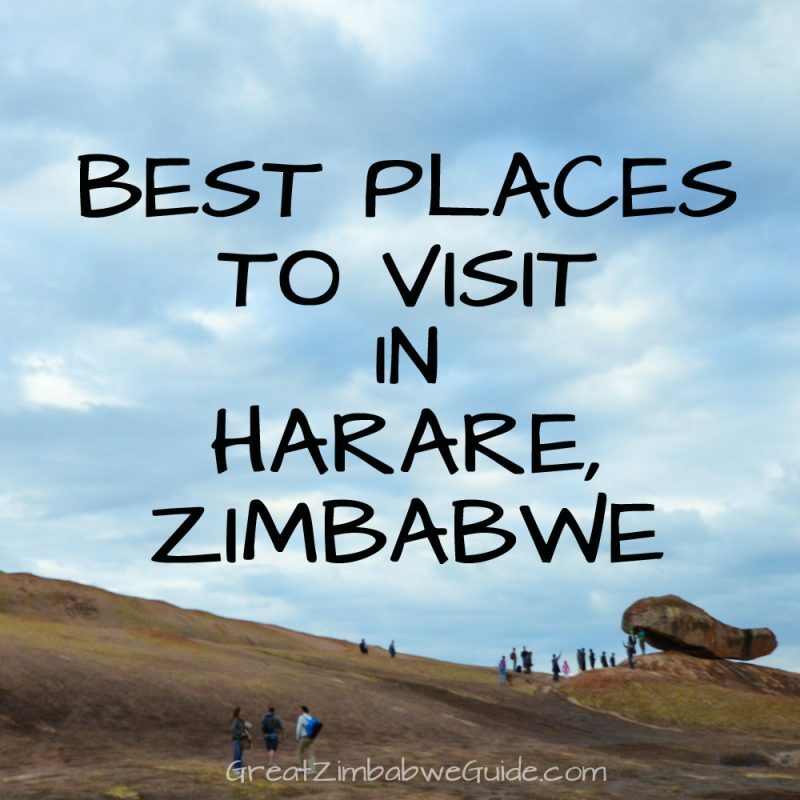 Here are my recommendations for the best sights, activities and monuments in Harare. Each activity below will occupy between 1 and 5 hours of your time. Note: If you want to do something near Harare that occupies a full day, or an overnight stay, read the post Day trips from Harare instead. 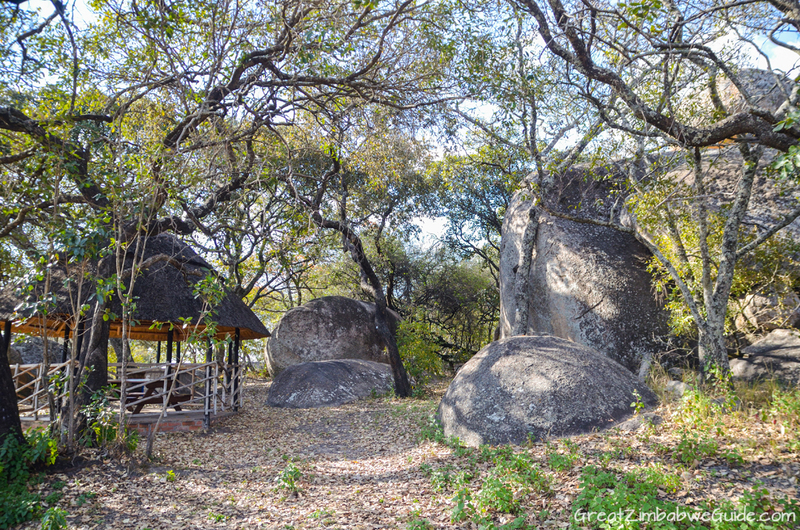 Also known as Domboshava, literally translated as ‘The Red Rock’, this granite hill on the outskirts of Harare is a great place to go for sundowners. It’s an easy-ish walk to the top – and not too strenuous that you can’t carry a picnic basket! There’s a small entry fee which you can pay on arrival to one of the officials in uniform near the car park. After walking through the open-sided building at the entrance, follow the hand painted arrows on the rocks, heading left towards the rock paintings and caves. After that, meander slowly to the top and take in the view. Although the incline isn’t too steep, the rock can be slippery, so wear walking shoes. Also bring a torch in case your sundowners last longer than expected and you have to walk down in the dark. Read about my trip to Domboshawa here. Details: Located about 30 km out of Harare, off the Borrowdale/Dombosahawa Rd. Turn right at the sign reading “Ndambakurimwa – Chiyereswa”. Find a map here. Cost: US $4 per person. No fee to bring your own refreshments. there is an ablution facility but bring your own toilet paper just in case. Camping available. Link to official website in heading above photo. For a longer, more adventurous hike, visit Ngomakurira (The Mountain of Drums). 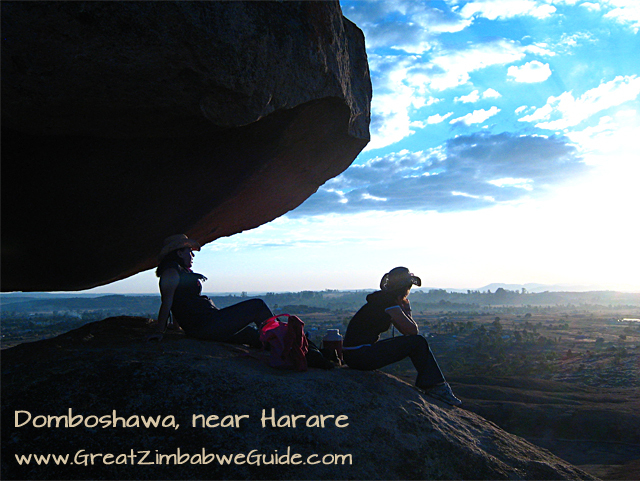 See Day trips from Harare for more info on Ngomakurira. Photo source: Wild is Life. In this wildlife sanctuary and orphanage, many of the animals freely wander the lawns rather than staying in a cage. This is a fantastic opportunity to meet African animals in a safe environment. 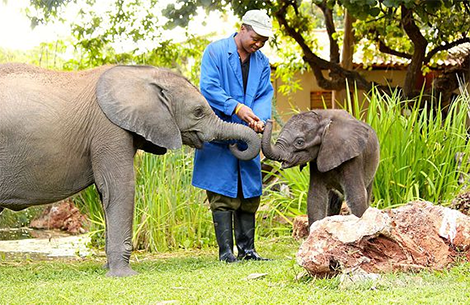 It’s also home to Zimbabwe Elephant Nursery, which was featured on the BBC show Nature’s Miracle Orphans. Visitors arrive at 3.30pm where they have a guided tour of the sanctuary, a home-cooked afternoon tea, and champagne and canapes at sunset. Visits usually last 3 hours. It is a little pricier than the other wildlife sanctuaries due to its exclusivity and luxurious food. Less exclusive options are at Twala Trust, Bally Vaughan or Mukuvisi Woodlands (see below). Details: 20 minutes out of Harare city centre near Harare International Airport. Contact details here. Cost: $95 per adult, $80 for 12-18 year-olds. Full afternoon tea provided. Link to official website in heading above photo. This is one of the few places within the city centre where you can see game like kudu, rhino, giraffe and elephant as well as a wide variety of birds and indigenous flora. Although small, this reserve is well maintained and offers a pleasant few hours in a convenient location. You and your family can walk through the game park because there aren’t any predators in it, and can even take a horseback ride through the woodlands to get much closer to the animals than you would on foot. 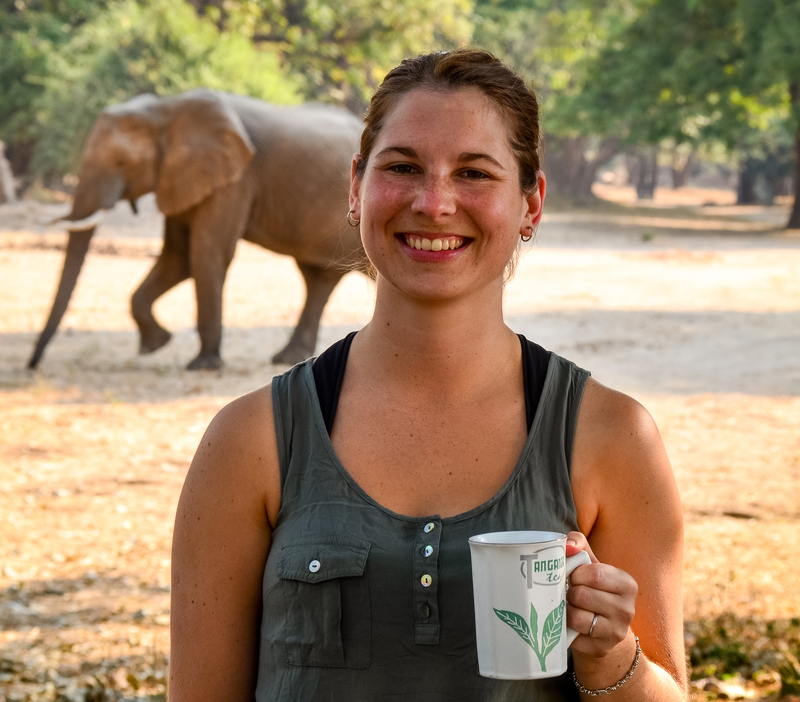 Read one reader’s story about her visit to Mukuvisi Woodlands. Details: Located in the city centre, on Hillside Road. Map here. Entry fee to the woodlands: US $4 per adult. Extra fees apply for the bird park, horse rides and guided tours of the game park. Self-catering camping accommodation available. Coffee shop offering snacks and hot meals on site. Link to official website in heading above photo. This sanctuary adopts and rehabilitates orphaned animals ranging from monkeys, to domestic cats, to lions. When you visit this motley crew of lovable creatures, a knowledgeable guide will take you on a tour and tell you the history of each animal. Tea is provided and you’ll have the opportunity to watch the lions and other animals being fed. As featured on BBC’s Nature’s Miracle Orphans. 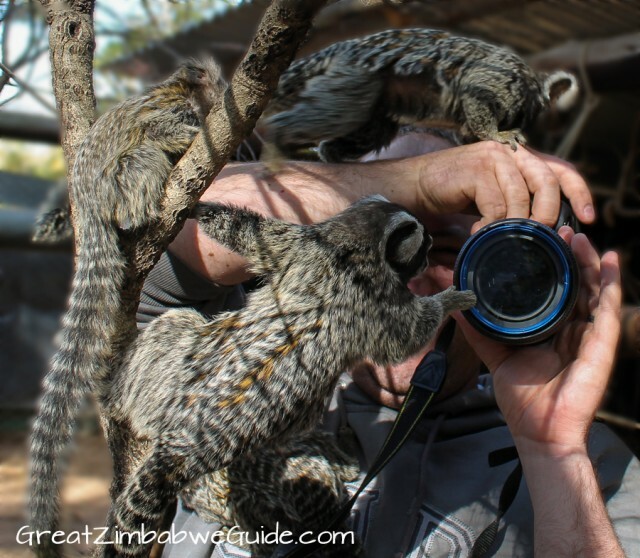 Some readers ask me where I encountered a marmoset that sat on my camera – it was at Twala! Details: Advance booking required. Located near Goromonzi. Email the sanctuary for location details and prices. Contact details here. Tea is provided, and you can bring your own picnic. Read about my visit and how to plan yours here. Link to official website in heading above photo. The National Gallery features traditional Shona stone sculptures, paintings by local artists, and regular special exhibitions. Vibrant and thought-provoking, this gallery is a great way to scratch beneath the surface of Zimbabwean culture. This is one of the locations for Harare International Festival of the Arts (HIFA) which is held in the last week of April each year. Details: Located on Julius Nyerere Way, City Centre. Map and contact details here. Entry fee: Free. Cafe and internet cafe on site. Link to official website in heading. Tip: Combine your visit with a walk around Harare Gardens which are just behind the gallery – as long as you have no valuables on you. A motley collection of converted railway workers’ houses have been converted into shops which sell wares from local craftspeople. 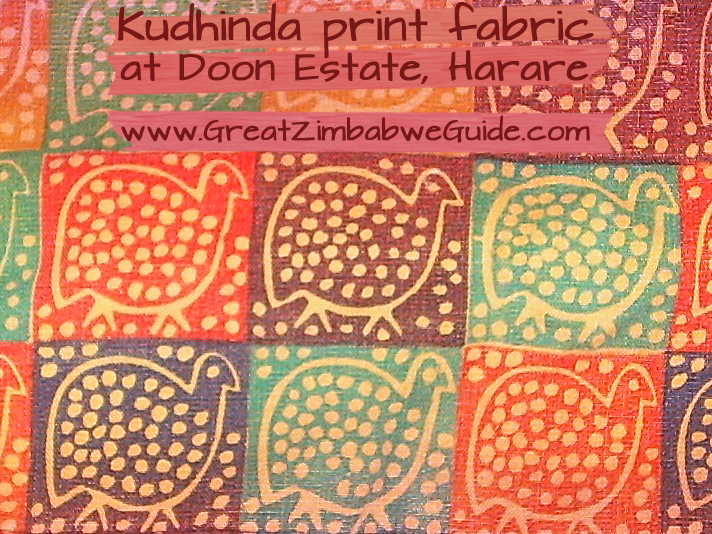 This complex is not as well-supported as it once was, but it’s still a pleasant way to see many different types of Zimbabwean craft products in one formal location. Doon Estate is outside the city centre, which means that monkeys are common visitors, and they have a penchant for stealing the sugar cubes from the coffee tables! 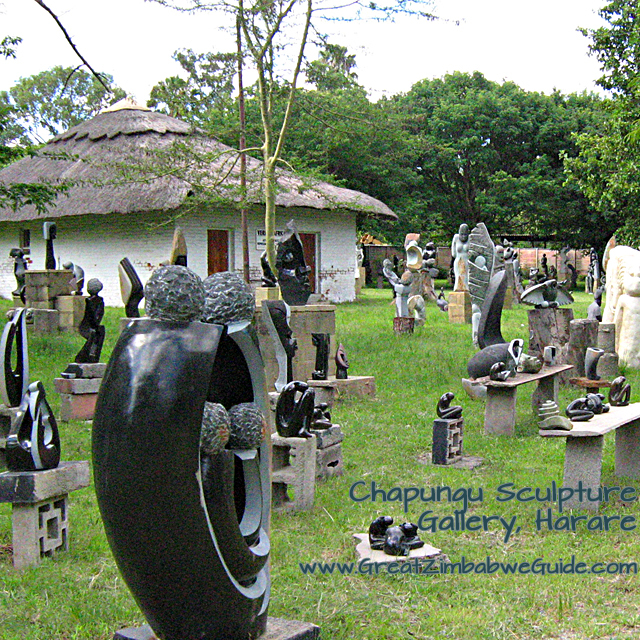 Chapungu Sculpture Park/Gallery Sieberana is in the same complex as Doon Estate and it can be found at the entrance. 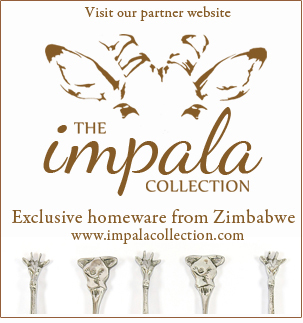 It pioneered the promotion of Zimbabwe Stone Sculpture (Shona Sculpture) and is home to a great selection of traditional Shona sculptures as well as a Shona museum. Chapungu Park fell into disrepair between 2004 and 2014 but has now been rebuilt and renamed Gallery Sieberana. Details: 1 Harrow Road, Msasa, Harare. Map here. Cost: Free to browse! A cafe offering hot and cold refreshments is on site. Link to official website in heading. The shopping centre in Avondale contains restaurants, coffee shops, boutiques, pharmacies and a supermarket, but behind the shopping centre there’s something a little more interesting: an open-air car park that’s been used as a flea market for years. The bottom floor of the flea market contains stalls selling African curios like drums, mbiras, wall hangings and carvings. As this section is below ground-level, it’s a little dark in there, which adds atmosphere to the traditional masks and fabrics hanging from the stalls. On the first floor there’s a mixture of handmade goods as well as mass-produced clothes, jewellery, second-hand books and toys of varying quality. It’s well worth a scrounge – but don’t accept the first price that the sellers offer. Some stalls sell similar or identical goods, so don’t buy the first thing that you like – compare prices first. Details: Located behind Avondale Shopping Centre, on King George Rd, Harare. Map here. Cost: free to browse. Some stalls in the flea market sell hot food, and there are also cafes and restaurants in Avondale Shopping Centre nearby. Link to official website in heading. Situated at Cleveland Dam, this is a good family-friendly place to get out of the city and enjoy some fresh air. 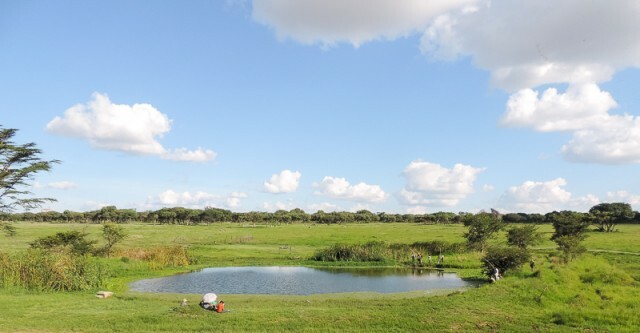 There are plains game on site including giraffe and zebra, as well as over 250 species of birds. 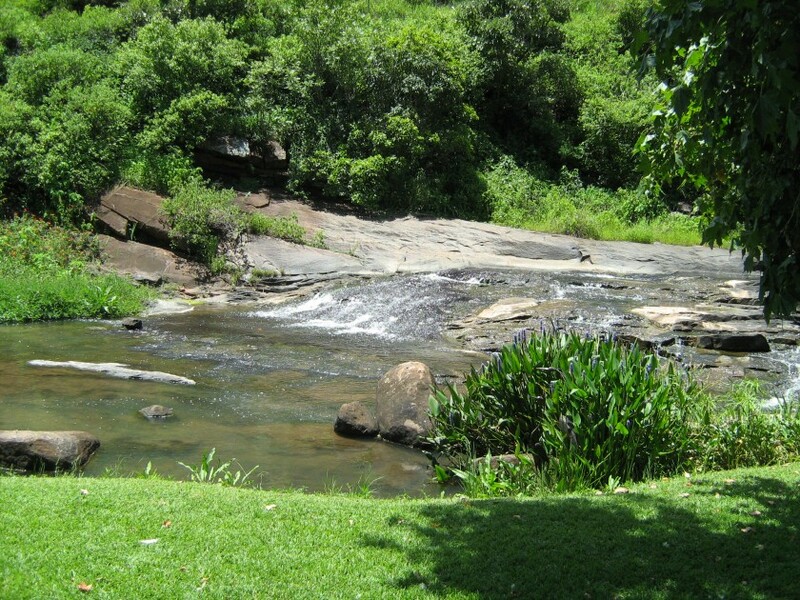 The park is owned by Harare City Council but privately leased. 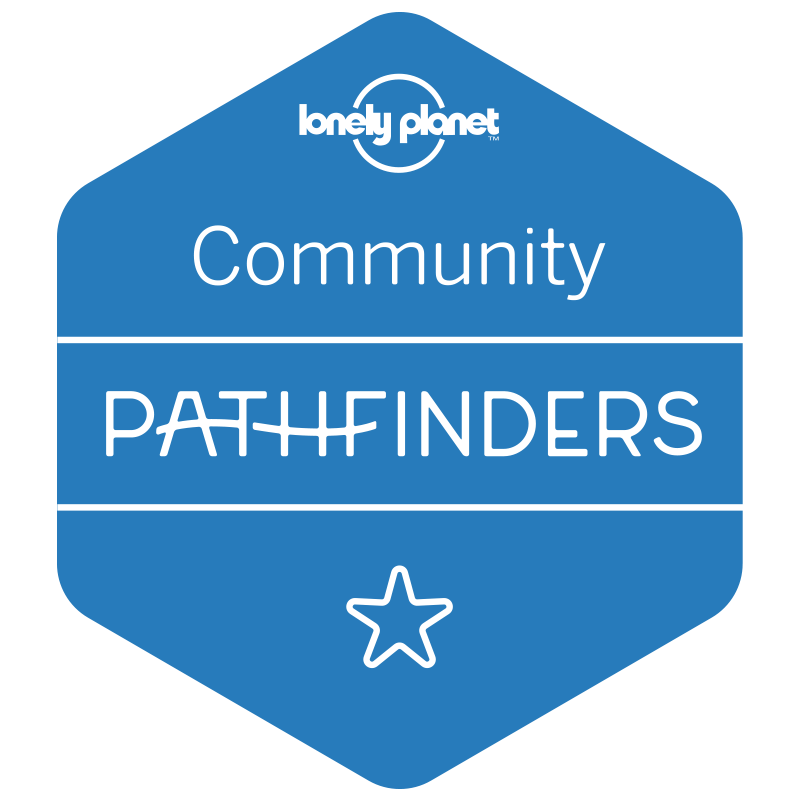 You can have a picnic or braai at the purpose-built areas, and go walking along the natural footpaths which meander around the park. Read about my visit to Haka Game Park. Details: Located at Cleveland Dam, approx. 13 km from Harare city centre, off the Mutare Rd. Map here. Cost: Entry fees are $4.00 for adults and $2.00 for children, plus a vehicle entry fee of $5.00 per vehicle, which is waived if you park inside the gates (for security) and walk the park. Horserides are also available on weekdays and public holidays. Fishing and canoeing are on offer at the nearby Cleveland Dam. No website currently available but contact Mr Surtee with any questions on 701330-5 or 0712 404 160. Advance booking not required. Directions (provided by SA Birding): From the city center take Samora Machel Avenue, and follow the signs to Mutare. The entrance to Cleveland dam (Haka park is situated within this Municipal area and has the same entrance of the main road) is not well sign posted, but start looking for it on the left hand side of the road just after passing the huge Jaggers warehouses on the right and the Danhiko project on the left. It is approximately 12 km from the city center. Follow the pine tree lined road and turn left at the blue Haka game park sign before you reach the main car park. Follow this road around for about 1 km till you reach the park entrance gates. Despite the official name of this park, sadly there are no more cheetah left. Drive yourself around the various large enclosures and pretend you’re on a mini-safari: the lion enclosure is a firm favourite. Another star of the park is Tommy, a Galapagos tortoise over 250 years old, weighing around half a tonne. This is an affordable family day trip option, which offers a drive-through game park, petting zoo for farm animals and horse rides. There are braai and picnic spots available for you to bring your own lunch. There’s a curio shop and a kiosk selling basic refreshments. There’s also a snake park nearby. Details: Near Lake Chivero, approx 23 km from Harare off the Bulawayo Rd. Map and contact details here. No accommodation. Small entrance fee. Link to official website in heading. The place where Harare was founded by the British government in 1890, originally called Cecil Square (after Cecil John Rhodes). The paths around this fountain and piazza are laid out in a Union Jack formation. After Zimbabwean Independence it was renamed Unity Square. The flower sellers lining the streets also make a striking sight. Details: Located on Leopold Takawira St. Best go in a group, without any valuables. Map here. Free entry. 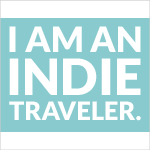 There are coffee shops and restaurants nearby, especially Mirabelle restaurant at Meikles Hotel. “Musika” means “market”, and this is large, bustling street market at Harare’s biggest bus terminal. As it’s not a tourist spot but a slice of real life, it’s best to leave your valuables at home, keep to main thoroughfares and go in a group. Details: Located on Ardbennie Rd in the centre of town. Free entrance. Map here. This is a beautiful place to go for a relaxing riverside picnic on lush green grass, next to a gurgling river. It’s also a popular wedding venue so do contact them before going. Details: 25 km from Harare city centre, off the Enterprise Road. Map here. Advance booking required, contact details here. Link to official website in heading. A museum containing some interesting exhibits on Zimbabwean history. Sadly it has been rather neglected in recent years. Don’t miss the Habitat Exhibition in the Natural Sciences Gallery. Also check out the 700 year old ark of the covenant replica, the oldest wooden object ever found in sub-Saharan Africa. Details: Located on Burnet Rd, Civic Centre, btwn Pennefather Ave & Raleigh. Map here. Cost: Entry fee $3. Link to official website in heading. Botanical gardens with an impressive variety of aloes, cycads and succulents. You can walk around the gardens, have a picnic under the large trees, go bird-watching, or hire a guide to take you on a private tour. Details: Located approx. 35 km on the Shamva Rd; directions on the website. Link to official website in heading. A rather cold, North Korean-style shrine built after Independence, paying homage to those who fought against minority rule and “heroes” who have died since then. Details: Located just past the National Sports Stadium on the Bulawayo Rd (extension of Samora Machel), Kambuzuma. It’s rather a political site so best to go in a group without valuables. Map here. Cost: Entry fee $4. Link to official website in heading. An Italian Renaissance-syle building that houses the mayoral offices. Details: Located on Julius Nyerere Way. Map here. Pre-book by phoning the number at the link above or +263 (0)4 752577/9. Link to official website in heading. A feast of historical documents and curiosities that bring many aspects of the region’s history to life. In the Beit Gallery “are the symbols of the extraordinary juxtapositions that birthed this country” (Petina Gappah, The Book of Memory), such as a facsimile copy of the Domesday Book, paintings by Thomas Baines, bronzes of independence fighters, pictures of Great Zimbabwe Ruins and independence documents including a letter from the Queen of England. Details: Located off Borrowdale Road, about 3km from the city centre. Map here. Do phone ahead. Link to official website in heading. Reps a number of good performances ranging from opera to improvisation, so it’s a great place to experience Zimbabwean entertainment. Check their website for what’s on. Details: Located in Belgravia Shopping Centre, Maasdorp Ave / Sam Nujoma St. Map here. Theatre tickets cost around $7-15. Link to official website in heading. Once a wonderful place to spend a few hours; now rather unloved but still interesting. It houses over 900 shrubs and trees, and also includes a mini-rainforest. It’s best to go in a group, without any valuables. Details: Located on Fifth St, Alexandra Park. Map here. Free entrance. Email nhbg[at]drss.gov.zw. There is a restaurant serving light meals. Note: There are also the smaller Harare Gardens which are located behind the National Gallery and have some restaurants in/around them. Map here. This gallery is an important exhibition venue in the Zimbabwe arts scene. Take a thought-provoking walk around an exhibit and discover an up-and-coming Zimbabwean artist. Details: Centrally located 3km from the city centre n Livingstone Avenue. Map and contact details here. Link to official website in heading. Although the name of this airport seems like it’s a muddled version of “Prince Charles”, the order is actually correct. This airport for internal private flights and pilot training was named after a fighter pilot who fought in WWII. Adventurous visitors can do a tandem skydive from this airport, to really get a fantastic view of Harare from above. Details: 18 km from Harare off the Chirundu Road. Map here. Advance booking essential; contact skydive[at]zol.co.zw. Not as formidable as Domboshawa or Ngomakurira, but these rocks are famous because they are emblazoned on the old Zimbabwean Dollar notes. Details: 12 km from Harare city centre, Epworth, off the Mutare Rd. Fee: $4. A hub of literary, social and musical discussion where comedians, protest poets, singer-songwriters and many more perform – without censorship. This place has its finger on the pulse of Zimbabwe’s thinkers and social commentators. Currently closed but check the above link for pop-up venues. Entry fee: Free. Link to official website in heading. 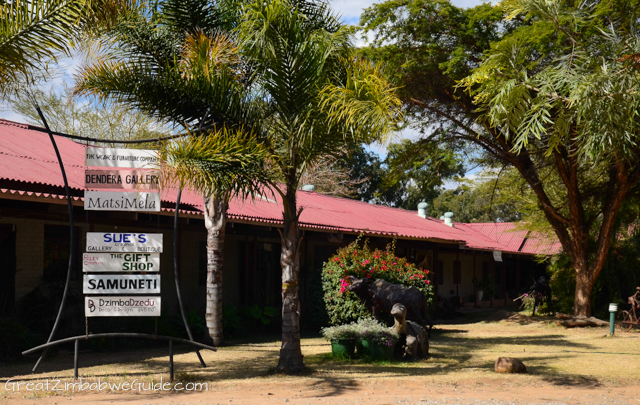 There are even more places to visit in my list of Day trips from Harare, so please read that for even more ideas. Are there places to avoid in Harare? It’s best to avoid the Harare Kopje or toposcope, as it is full of litter, the signage has been taken down and is used by the Zimbabwe National Army. If there is a demonstration happening in the city centre, it is best to avoid any large gatherings of people so as not to give the impression that you are involved with a political movement. See more tips on Staying safe in Zimbabwe. There aren’t many official guided tours of Harare, for the simple reason that the sights are easy to walk around without a guide. 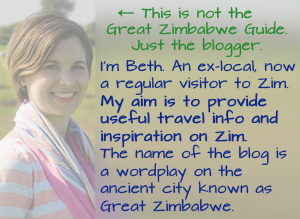 See more details in the Harare travel guide.